10 miles on the schedule today and that's exactly what I did. Nice run at Stony Creek Metropark up to the nature center and back. Just a quick post today. 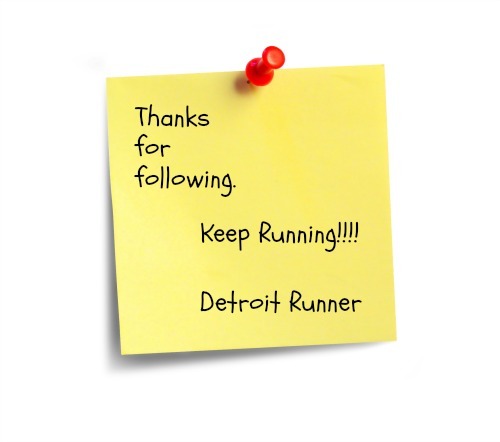 I want to sincerely thank everyone that follows Detroit Runner. I've been having fun sharing my thoughts with you on running and appreciate every one of the people that read Detroit Runner whether you comment or not on the blog. If you are coming to the blog directly, thank you! 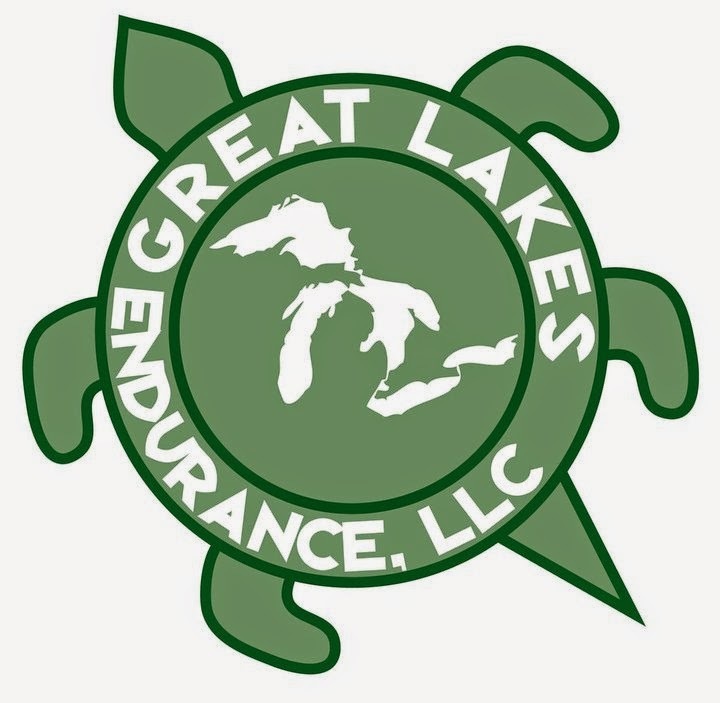 I wanted to also remind you there are several other ways to follow Detroit Runner. 1) Facebook page. I do put other things on here besides my posts so if you want to see the posts but also see the extras, you can follow me on Facebook. 2) Twitter page. 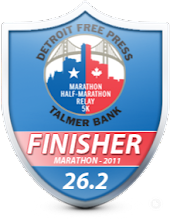 My Twitter tag is @Detroitrunner1. I have quite a bit of interactive discussion on here and all my blog posts also get posted here daily too. 3) Follow via e-mail. This is a great way to make sure you see each post. I almost always post daily about something and you would get an e-mail each day with my new post to review. 4) Add me to your reader. I use a reader to review blogs myself and it's a great way to review all the blogs that you follow. The first three options are on the left sidebar of my blog. 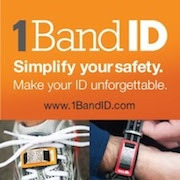 Just click and follow and you're good to go!